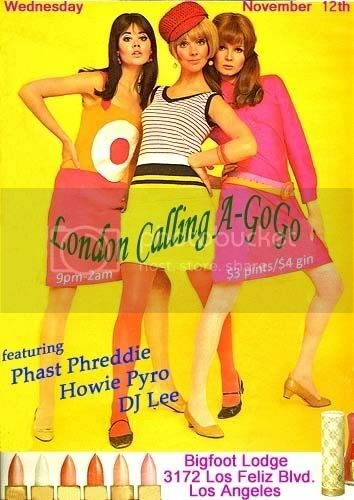 This Wednesday night, “Club London Calling” presents “London Calling A-Go-Go” featuring Luxuria Radio’s Howie Pyro, the legendary Phast Phreddie Patterson and Dionysus Records & Bigfoot Lodge’s DJ Lee spinning sets of ’60s garage, soul and go-go. Drink specials include $3 pints of Guinness and Newcastle along with $3 gin. See you there!